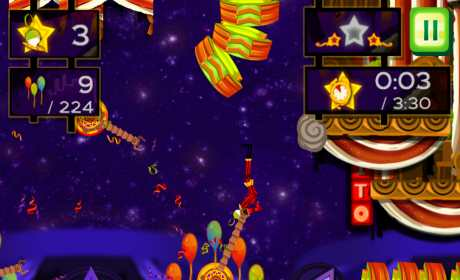 Become history’s greatest circus acrobat in the enchanted land of CarneyVale! Perform aerial displays of flawless flings, death-defying stunts and fantastic flips with ragdoll physics action as Slinky the puppet in a show that will captivate your audience. Now available in English, Spanish, German, French & Italian. Unlock achievements, compete times and top the leaderboards in this fun, exciting and highly anticipated game of epic action! 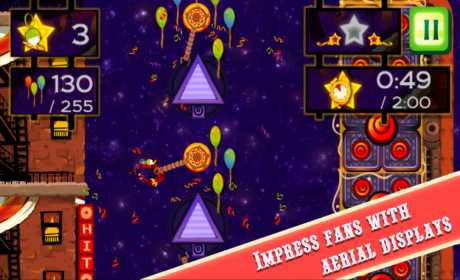 • Perform flips and tricks on trapeze like grabbers. • Collect balloons to impress your fans. • Manipulate props and steer rockets like a rodeo. • Avoid dangerous hazards to add flair to your performance. • Uncover hidden stars within the maze of levels. • Make a spectacular finish as you zip through the ring of fire! Help Slinky realize his dream to become the most amazing acrobat that has ever lived! The greatest performance of a lifetime awaits you, as you swing your way through the level for a performance that your audience will never forget. 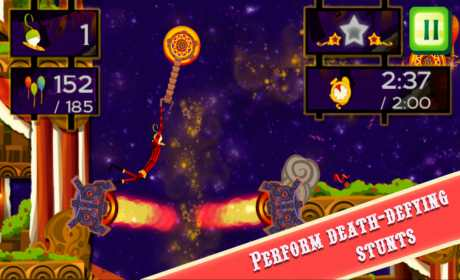 Dodge through hoops of fire, avoid flaming cannons and fly pass electrical blocks as you race your way to the end in a spectacular 5-star show.